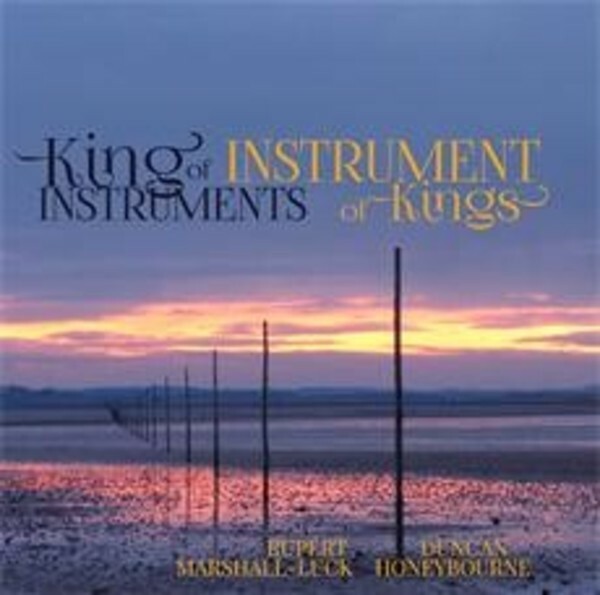 This new EM Records recording, entitled 'King of Instruments, Instrument of Kings', features three works by organist-composers. The disc includes the World Premi�re recordings of the first Violin Sonata of Harold Darke, best known for his setting of 'In the bleak Midwinter', and of the long-lost Sonata for Violin and Piano of Herbert Sumsion, who was organist of Gloucester Cathedral from 1928 until 1967. The use of the sobriquet �King of Instruments� for the organ is well-known, and the violin was the instrument of the royal courts of Europe from the seventeenth century until after the Enlightenment. The chiasmus offered by the juxtaposition of these two instruments was thus irresistible as the title of a disc that features works for violin and organ or piano by three organist-composers. All are world premiere recordings.